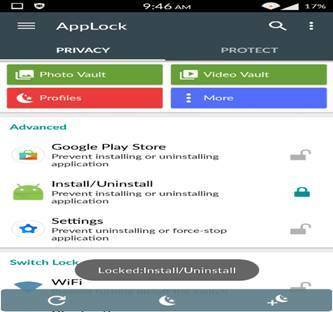 If you wish to lock some of your phone apps, you may download Applock Android App! The following information would help you to understand the features of this app locker! No one wants to share their personal data with anyone else. Keeping a password or pattern for unlocking the phone is surely a good way to protect your personal data but, what if you want to hide some particular data and wish to lock certain apps? Locking an entire phone is a walk in the park but, locking a specific app can be a tricky thing. 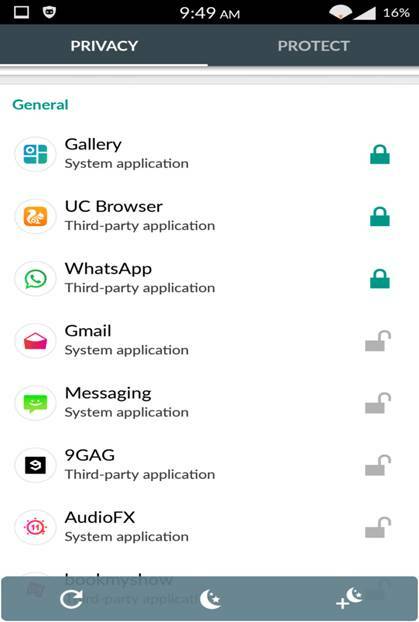 You might puzzle about how to lock apps on your phone because the apps like WhatsApp, Facebook Messenger, Gallery carries a lot of personal data which needs to be password protected. Nowadays many smartphones are coming up with an inbuilt feature or say Applock which works perfectly fine. However, if your phone doesn’t have any applock features, you don’t have to worry as there are many third party app lock apps which are available for free on Google Play store. But, only a few of them works perfectly fine and AppLock is one among them. Let’s discuss the essential details like download AppLock, how to use it and its best features through this post! 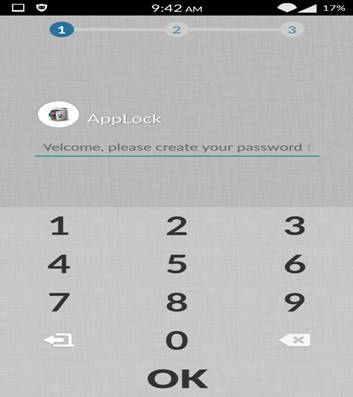 AppLock is an android app which allows users to set a password, pattern protection to individual apps. It is available for free on Google Play Store and is considered as the best app lock. It is small in size and has got over million downloads with 4.4 ratings. Its new version supports the devices which have Android 5.1. You will have a better experience with the new material design and optimized function of the latest applock version. 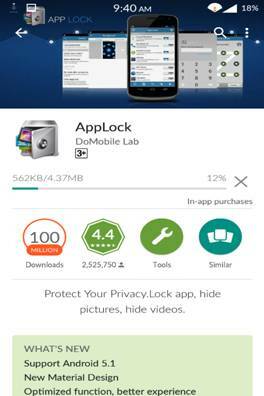 First of all, you need to download the apps locker, Applock which is compatible with almost all the Android devices. 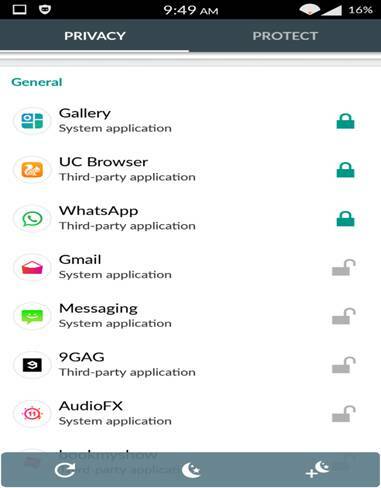 It does ask for few permissions, accept them as it will help in protecting your data. Once you download and install the app, you have to learn how to lock apps. Here is a simple guide on how to lock apps via AppLock! • Launch the app and it will ask you to enter your very first password. You will need to enter the password two times for making sure it is correct. • You have to give your email ID so that, the phone can be unlocked in case you forget the password. • Now, you will see a brand new materialistic design. There will be two sections, Privacy, and Protect. 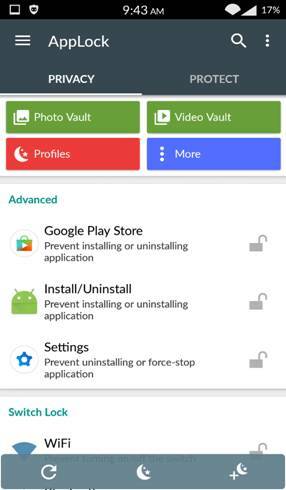 • In privacy category, you will see Advanced, where you can lock Google Play store, Settings and installation/uninstallation of apps. Just tap the lock and it will lock the app. • Scroll down and you will see Switch lock and General. In Switch Lock, you can control the switches like Wi-Fi, Bluetooth and, in general, you will see the list of all the apps in your phone. Simply tap the lock button and it will lock that app. Tapping again on the same app will unlock it. 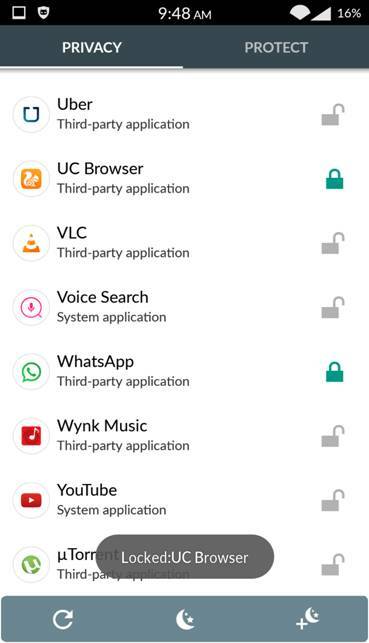 • The locked apps will be placed on the top of the list as shown in the below image. • In the Protect section, you will see a screen like below. • Here you can change the password from a text/number to a pattern. 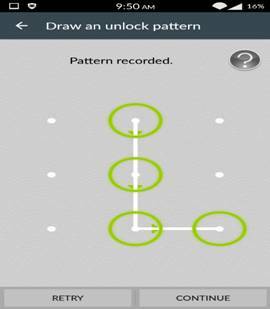 Click on Unlock settings and then on pattern lock and set the pattern. • You can also set a security question in case you don’t remember the pattern or password. • In case, if you want to heavily encrypt your phone, you can toggle the Advanced protection button and install the app. • You can also set whether you want to re-lock the app after the screen is locked or not. 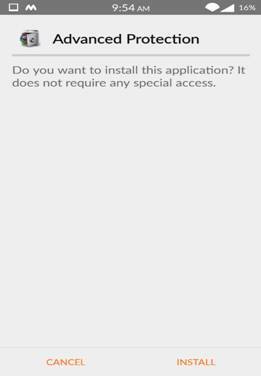 • The more interesting thing is that you can even hide this Applocker app itself. You can even keep a password on specific photo and video. To do so, go to Photo Vault or Video Vault in the Privacy Part. Click on the + button and select the photos/videos which you want to protect. 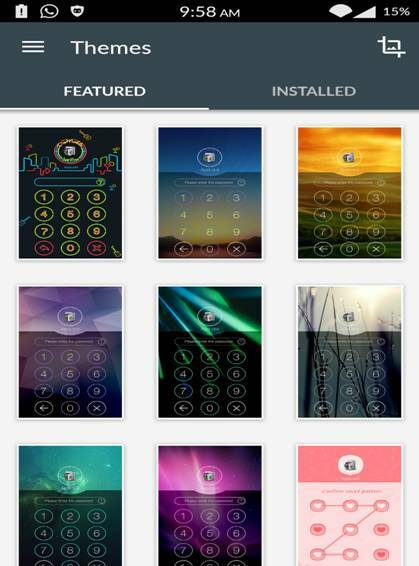 • AppLock offers a large number of beautiful themes to select from. Here is the consolidation of some of the best features of the applocker, AppLock! It is more likely to lock your contacts, SMSs, calls and media files. 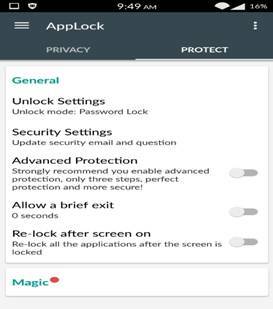 You can stop others to uninstall AppLock as it has advanced protection settings to avoid uninstall or kill the app without a password. As I specified earlier, you can hide the icon of AppLock. It is a power-saving app with the little memory footprint. The automatic lock can be set at given time & location. This excellent app locking app supports 24 languages and being used by millions of users. You may even go with its premium account which boasts remarkable protection features. 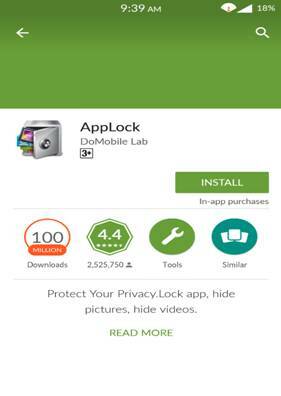 In case, you are short on memory or something is not going right in downloading the app from Play store, you can download Applock apk. App lock apk download is also free and works exactly like app lock from play store. 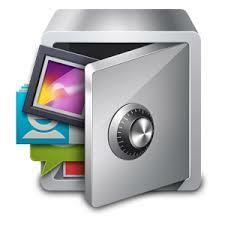 AppLock is an excellent app which can help you a lot in saving and protecting your sensitive data. 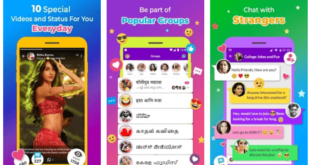 It is free to use, rich in features and has got beautiful themes. It is simple to use and works like a premium paid app. If you have a lot of data/apps on your phone which you wish to save/hide, App lock free download will be an ideal choice for you. So, you’ve learned how to lock apps with AppLock app and recognized its salient features. What is your opinion about this helpful locking application? Would you like to go with app lock free download? Or have you already download Applock to lock your phone apps? Share your views and experience in the comment section.